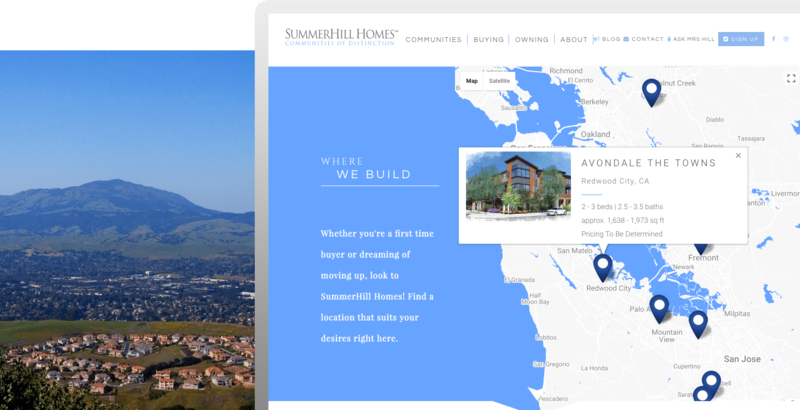 Regarded as one of the Bay Area’s premier home builders, SummerHill Homes’ builds homes and communities that stand out among the best. A Marcus & Millichap Company, SummerHill Homes has been building distinctive communities in the Bay Area since 1976. For the past 15 years, Graphic Language has supported the SummerHill sales and marketing team with top notch design, technology, and marketing services. 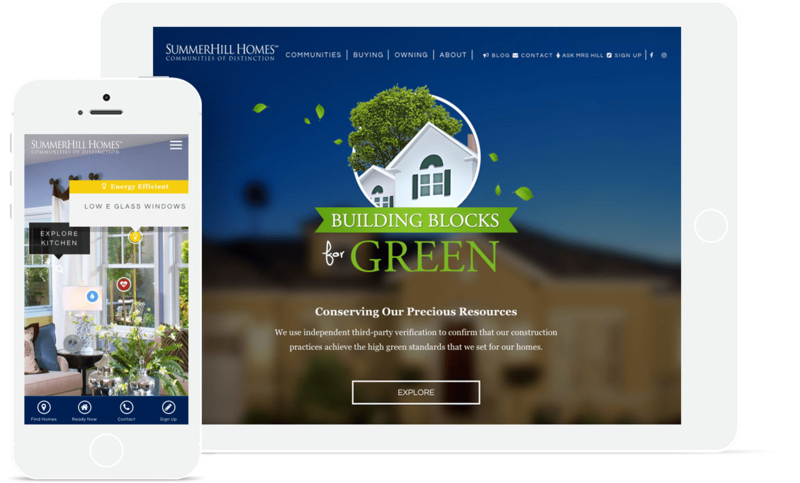 SummerHill Homes needed a web experience indicative of the distinctive homes and communities they build, and that’s just what they got. The new and vastly improved website is loaded with compelling photos, videos, drones, interactive green home-amenities and more. What’s more, the functionality goes beyond the typical builder website with smartEDIT 4.0 CMS which includes regions, global plans & elevations, image tagging, and interactive lot-management tools. Easy home search. Sophisticated design. Robust functionality. Interactive Home Amenities.